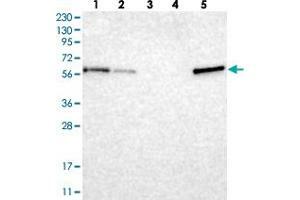 Western blot analysis of Lane 1: RT-4, Lane 2: U-251 MG, Lane 3: Human Plasma, Lane 4: Liver, Lane 5: Tonsil with TXNDC10 polyclonal antibody . 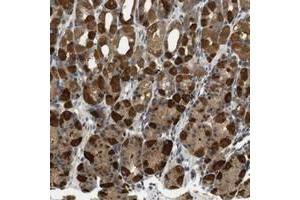 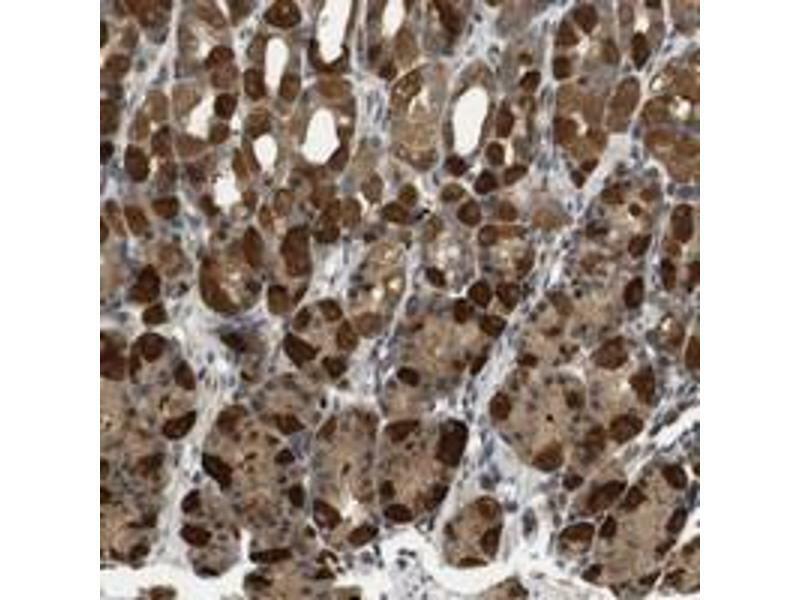 Immunohistochemical staining of human stomach with TXNDC10 polyclonal antibody shows strong cytoplasmic positivity in glandular cells. 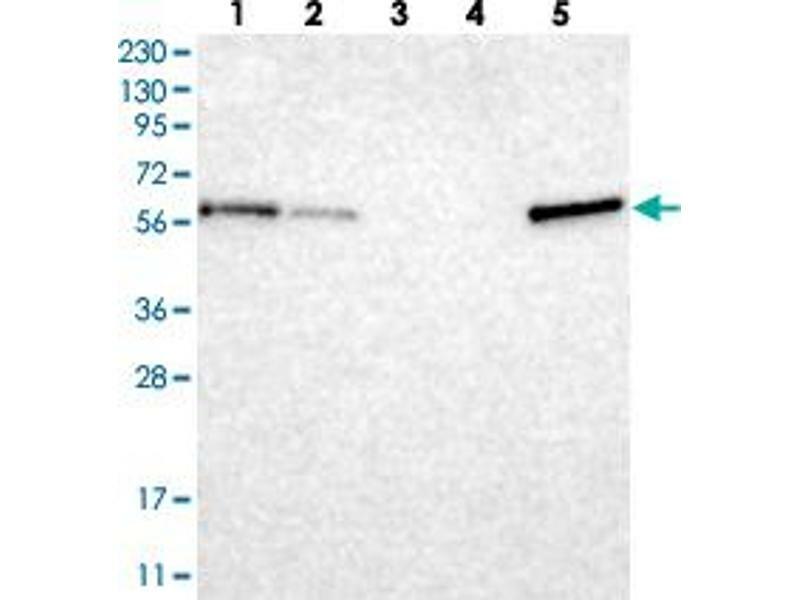 Immunogen Recombinant protein corresponding to amino acids of human TXNDC10.